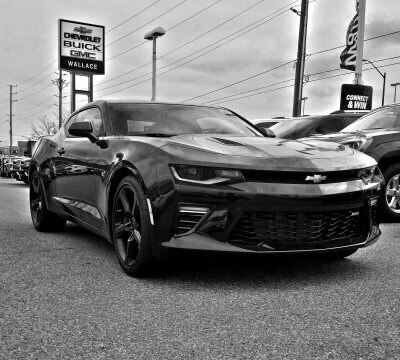 The All-New 2016 Chevrolet Camaro Is Here! Wallace Chevrolet > Camaro > Chevrolet Camaro SS Arrives At WallaceCHev! 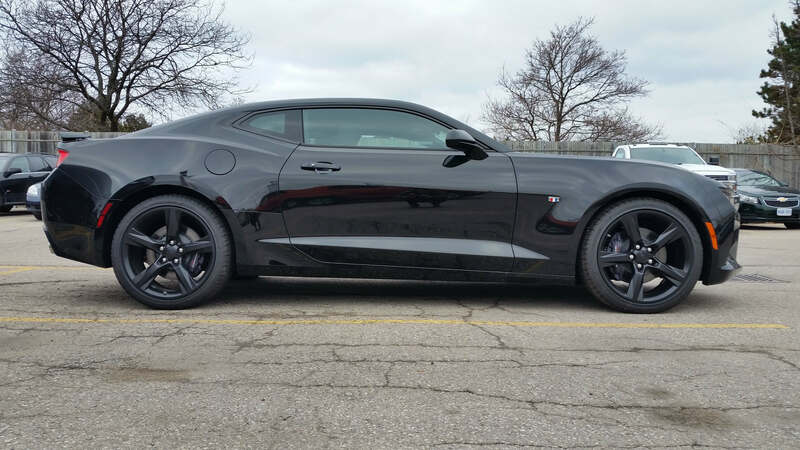 Chevrolet Camaro SS Arrives At WallaceCHev! The 2016 Chevrolet Camaro SS hits 0-60mph in 4-seconds flat! SS is finally here and we simply can’t get enough! The new Chevrolet Camaro promises to brake, handle and respond better to a new, lightweight chassis (called ‘Alpha’) that helps make it 300 lbs lighter than the vehicle it replaces. 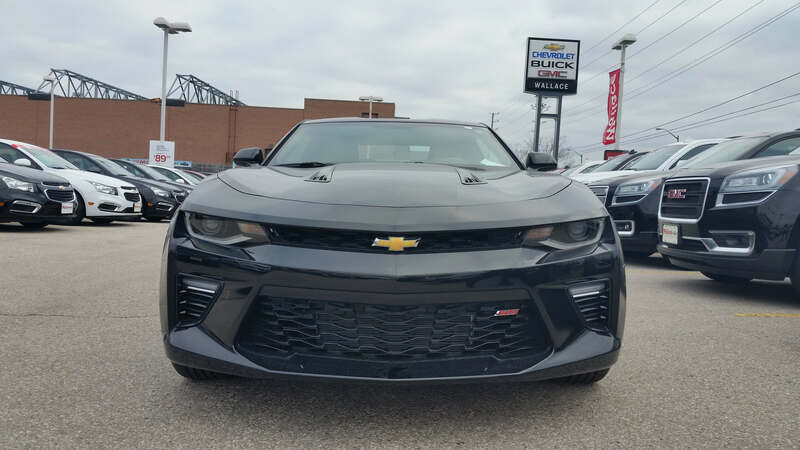 Tick the box for the SS model and you’ll get a colossal 455 hp 6.2L V8 engine, which it shares with the Corvette Stingray. No question…it sounds absolutely sensational! Yet the biggest changes over the Gen 5 model are most apparent once you climb inside. The all-new interior is leaps and bounds better than that found on the Gen 5 Chevrolet Camaro. 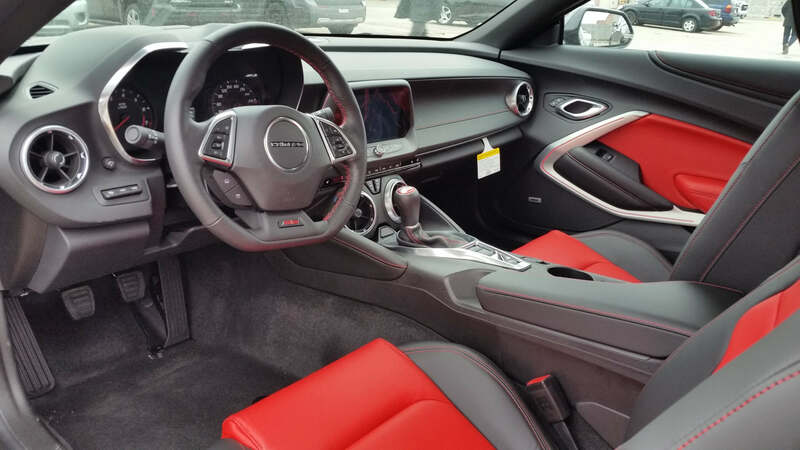 Every inch of the interior was rethought, re-sculpted and re-trimmed in high-quality fabrics and materials and now occupants can look forward to adaptive lighting, a 7″ MyLink touchscreen system with Apple CarPlay & Android Auto, customizable interior light strips, a flat bottom steering wheel, Head-Up Display (HUD), choice of eight-speed automatic or six-speed manual transmission and much more!
) to get your first look at the all-new 2016 Chevrolet Camaro!